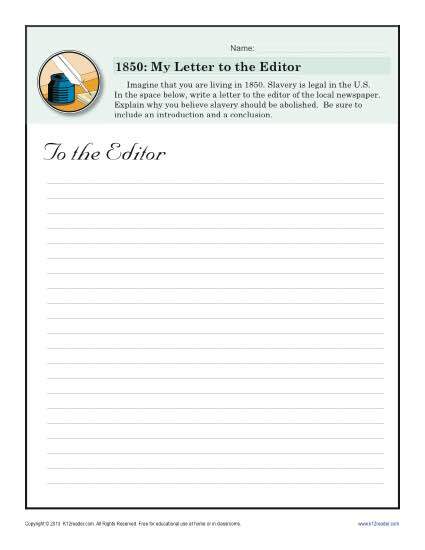 In this worksheet, it’s 1850 and your student will write a letter to a newspaper editor. He’ll offer an opinion about abolishing slavery. It’s a good activity for Black History Month. Your student can also practice Common Core Standards for Writing for 5th grade and middle school students. Other grades may also find it helpful.